A Heartfelt Goodbye to Visiting Scholar Nanu Wu! On behalf of the Physical Activity Promotion and Chronic Disease Prevention Unit we would like to acknowledge the departure of our friend and colleague, Nana Wu. Nana visited from Shanghai (China) and became a valued and trusted member of our team. It is with mixed emotions that we say goodbye to Nana. We are happy that Nana is now able to return to her family and friends in China. However, we will certainly miss Nana. Nana was an exceptionally hard worker taking on every opportunity afforded her. Her work ethic provided a great example to all of our trainees. She was a part of virtually every trial in our laboratory over the time that she spent in our laboratory. Nana has been a great ambassador for our Pan Pacific Trainee Exchange program. Nana’s compassion for and ability to work with others was remarkable. This was evidenced when our entire laboratory showed up to say goodbye to Nana. There were tears all around reflecting clearly the impact that Nana had on each of us. We look forward to working with Nana in the future and sincerely hope that she will be able to continue studies at the University of British Columbia. Nana will always be welcome in our program. 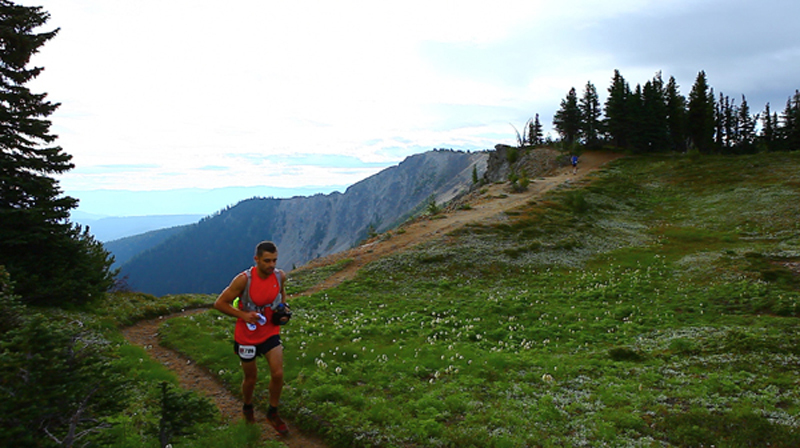 Fat Dog 100 (now Fat Dog 120) is listed as one of North America’s hardest races! 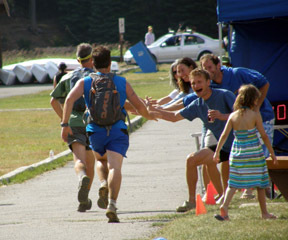 Competitor Magazine has recently listed Fat Dog as one of North America’s hardest races. For the full story please go to Competitor Magazine. Photos courtesy of Heather Macdonald (Fat Dog 120). The Canadian Institutes of Health Research (CIHR) and the Canadian Medical Association Journal (CMAJ) honoured the work of exceptional researchers announcing the five recipients of the 2012 CIHR-CMAJ Top Achievements in Health Research Awards on March 18, 2013. The CIHR announcement for this award can found HERE. Another story from UBC can be found at this LINK. Dr. Warburton was one of five Canadian individuals and teams honoured with the 2012 CIHR-CMAJ Top Canadian Achievements in Health Research Awards that recognize and celebrate Canadian health research and innovation excellence (1,2,3). To our knowledge, this is the first time that an exercise scientist has been awarded this honour in Canada. Dr. Warburton was further acknowledged as one of the top 2 winning achievements for this prestigious honour. CIHR/CMAJ top achievements in health research. call for applications.Ottawa (ON): Canadian Institutes of Health Research; 2012. Available: www.cihr-irsc.gc.ca/e/45560.html (accessed 2013 Feb. 12). A heartfelt congratulations to Taylor Drury (MSc 2012) on his acceptance to Medical School. We are extremely proud of Taylor’s accomplishments. Sincere congratulations to Dr. Jamie Burr (Post-Doc) on his faculty appointment at the University of Prince Edward Island. We wish him continued success.